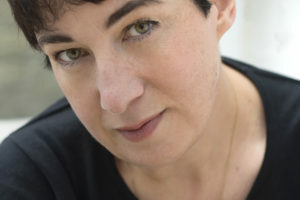 Joanne Harris was born in Barnsley in 1964, of a French mother and an English father. She studied modern and medieval languages at St Catharines College, Cambridge after which she taught for 15 years until the publication of her third novel, Chocolat, which was made into an academy award nominated movie in 2001. Since then she has written seven novels, a book of short stories, Jigs & Reels, and a cookbook, The French Kitchen, co-written with Fran Warde. 1) When did you first decide to write? 2) What was your first success? 3) What comes first- character or plot? JH-It depends – but a book needs both if it is going to survive. and how many do you spend now? JH-As long as I could afford to spend, both then and now. 5) How long does writing a novel take for you? JH-As long as it needs to! it compare with writing a novel? publishers just decided to take the risk. JH-I wish I’d known how to deal with the Press. JH-AMERICAN GODS, by Neil Gaiman, plus a whole bunch of Whitbread shortlistees. 9) Which is your favourite Joanne Harris book? probably “Holy Fools”), but it’s the one I’m most happy with. 10) What is a typical day like for you? 11) What is the best part of your job? JH-The voodoo of the half-written page. JH-Having to think of it as a business when all I want to do is enjoy it. 13) What book do you wish you had written? JH-Farenheit 451 by Ray Bradbury. for writers to have a web presence? 15) Who are your favourite authors? 16) How did it feel to see your characters come to life in the movie version of Chocolat? 17) When is the next book coming out? 18) Your books all have striking covers, how much input do you have into the actual design process? 19) What makes you happy? JH-Bright colours; snow; my daughter. 20 What one piece of advice would you give to aspiring authors? JH-If you don’t enjoy what you are writing, then no-one else will. Thank you, Joanne, for answering these questions.